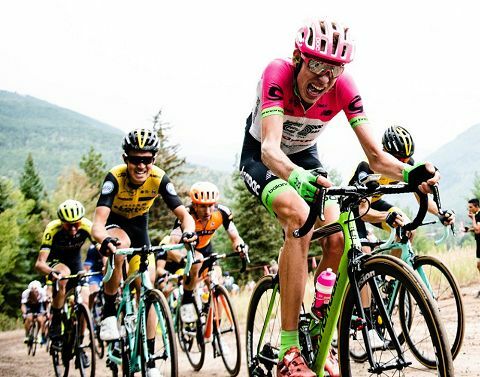 EF Education First – Drapac p/b Cannondale put three riders on the podium on Sunday when the Colorado Classic came to a close in Denver’s RiNo District. Briton Hugh Carthy finished the four-day race in third overall and won the King of the Mountains classification. Colombian Dani Martinez, sixth overall, topped the Best Young Rider classification. American Taylor Phinney, a Boulder native, earned most aggressive on the day. 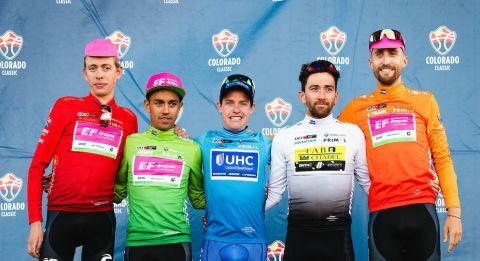 Gavin Mannion (UnitedHealthCare) won the Colorado Classic general classification off the back of his stage two victory. The Vail Pass time trial was pegged as the most decisive stage of the race, and it lived up to expectations. The top three after the time trial remained the top three through the second half of the race. Although making up the time loss in Denver would have been a tall order, #PinkArgyle threw everything it had at the challenge with Carthy, Martinez and Joe Dombrowski going on the attack up Lookout Mountain on stage three. The trio were part of a seven-rider break that was caught in the final kilometers as the sprinters came to the fore. “In the end, it came back and all things stayed the same, but sometimes you’ve got to throw a Hail Mary,” said Dombrowski. Phinney picked up on Sunday where the overall contenders left off on Saturday. He attacked on the opening lap of the eight-lap Denver circuit. His movement inspired a swift reaction and a four-man move quickly took shape.